REVIEW: Tom Hooper had quite a task in front of him. 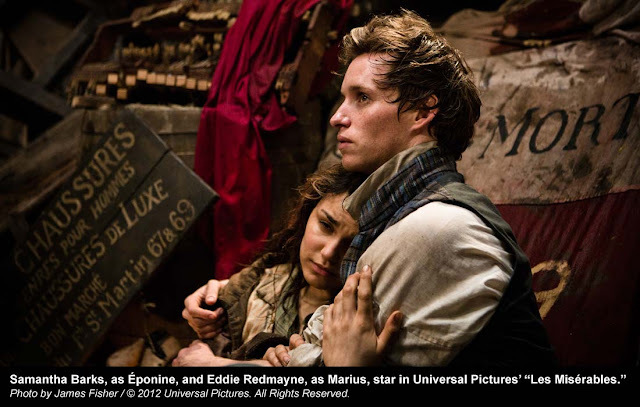 The Oscar-winning director of "The King's Speech" was given the daunting responsibility of adapting "Les Misérables." Read James' full review. Tom Hooper had quite a task in front of him. The musical, adapted from Victor Hugo’s 1862 classic novel, opened in London in 1985 and has been performed in more 40 countries, according to the movie’s website. The new movie, in theaters Christmas, offers the same grim yet hopeful tale audiences have experienced in the world’s longest running musical. 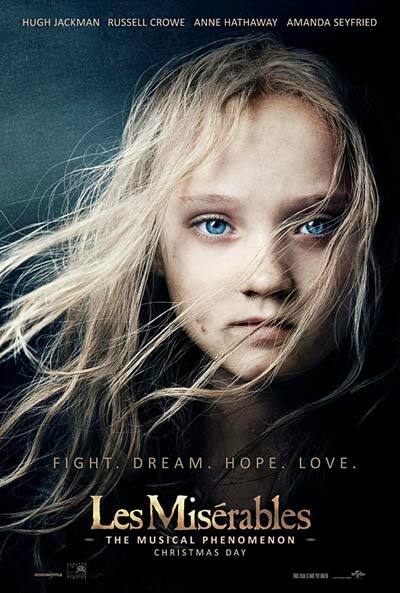 Set in 19th century France years after the revolution, the story starts as audiences are introduced to recently freed convict Jean Valjean (Hugh Jackman). Javert (Russell Crowe), the commanding officer of the prisoners, promises Valjean he is not free, but under careful watch for the rest of his life. After Valjean breaks parole to live a free life, Javert makes it his mission to find and capture this convict on the run. Eight years pass and Valjean is now a wealthy factory owner. 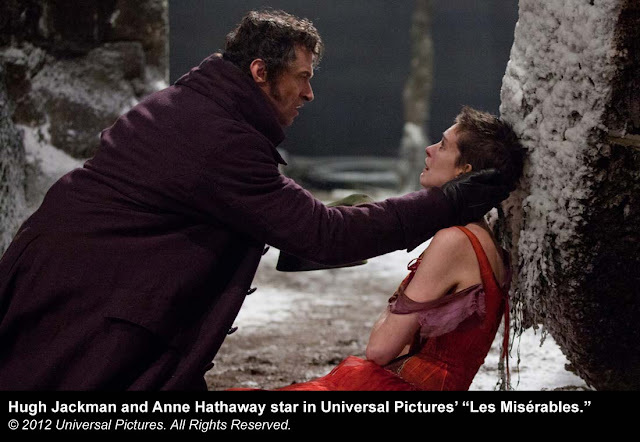 At one point he runs into one of his former workers, Fantine (Anne Hathaway), and decides to help her and her daughter Cosette (Amanda Seyfried). Look for wacky performances by Sacha Baron Cohen and Helena Bonham Carter as Thénardier and Madame Thénardier, respectively. There is also some outstanding acting and singing by the students in the film. Eddie Redmayne, playing Marius, and Samantha Barks, playing Éponine, give breakout performances. Movie adaptations have been made before. Liam Neeson, Geoffrey Rush and Uma Thurman starred in a 1998 film by Billie August. Reviews were mixed. The 1935 adaptation, starring Fredric March and Charles Laughton, received four Academy Award nominations. Adapting a worldwide phenomenon into a movie is tricky business. Musical lovers heading to the theater know the score note for note, the script line by line and the lyrics word for word. Any change Hooper and his team would make could be met with much derision. With this film, it appears Hooper decided to focus on the acting. With some tour-de-force performances from Jackman, Hathaway and Crowe, Hooper’s “Les Mis” offers a spectacular viewing experience. When it comes to vocal performances, it appears singing was secondary to everything else. Broadway alumni Jackman and Hathaway appear comfortable and at ease on screen, while Crowe struggles to find his notes and vocal bravado. Crowe seems flat and quiet. He brings down the quality of the movie when he begins singing. While Hathaway is belting out the iconic “I Dreamed a Dream” lyrics, the pomp and circumstance to the song is diminished by her emotionally captivating performance — again, acting over singing. But this is not all bad. Hathaway is a stronger contender to win the Oscar for her supporting performance in this film. The cinematography is also shaky at times — literally. Meant to instill motion, the camerawork can be dizzying and nauseating in the first part of the movie. While the camerawork and singing can sometimes be distracting, the film itself is a wonderful example of an adaptation charging ahead with its own vision and purpose. Tom Hooper has helped craft a fantastic moviegoing experience with only a few missteps along the way.